Exclusively for Watsons VIP members. Purchase RM50 & above of the participating cosmetics brands. 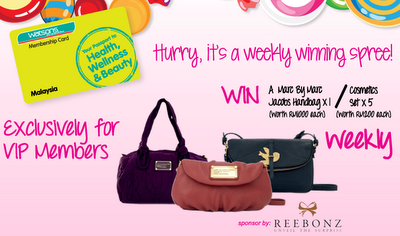 Visit Watson FB fan page for more details. Join now and win a holiday trip for TWO to Canada!